This app is wonderful! I downloaded it again after some time after deleting it and is has improved significantly! The recipes are back! 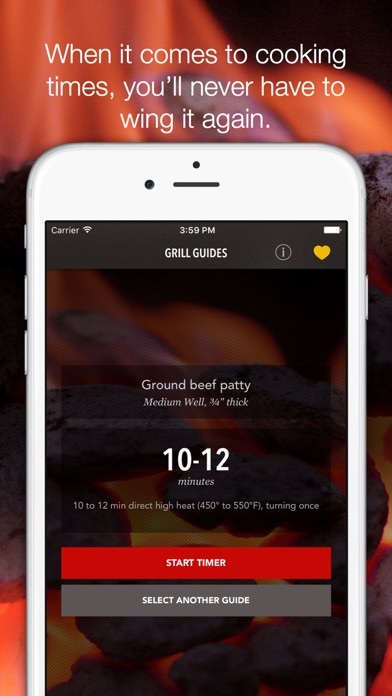 The grill skill portion is a wonderful tool! Timer is great! I keep finding more and more fantastic options every time I explore the app. This is second to none! 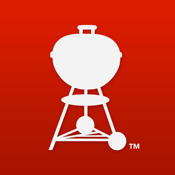 I am a gas and charcoal grilling nerd! This app is a must have for both options! Well done Weber! 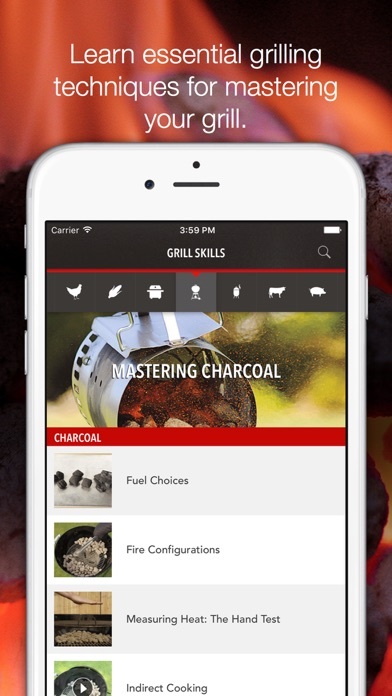 One of the best apps - with everything from videos on how to lay out your coals (or gas grill techniques) to easy to find and bookmark recipes to its very own timer! Here I thought owning a Weber grill was all I really needed to have fun grilling. But this app is the cherry on top! 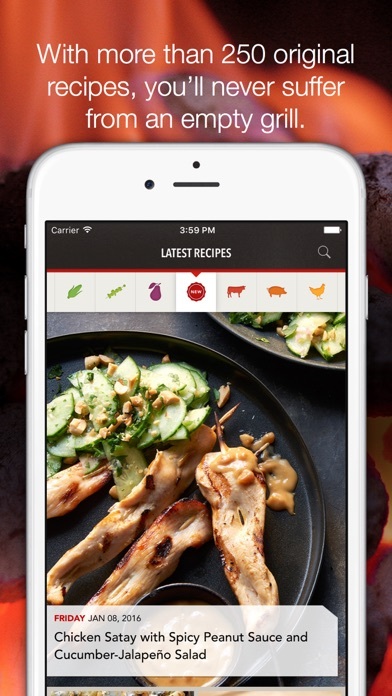 Great app that has a ton of recipes old and new! 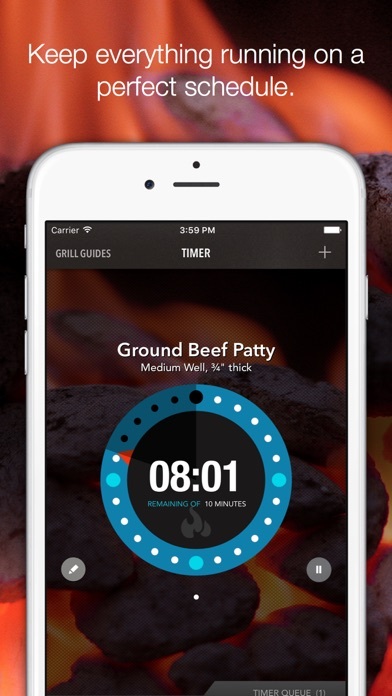 Useful overall app, but the timers would be much more useful if they included a “flip” alert. When cooking some cuts, for instance, flipping about 2/3 of the way through the timer is optimal, so having an alert for that time would be very useful. I’m doing what Weber should be doing for their users. I’ve received written confirmation that Weber is no longer “for now” pushing out new recipes. Some users may notice they are “stuck” with the last recipe from October 2017. Weber is only “recycling” old recipes that have “proven to be popular.” That, however does not answer why users are not receiving these “recycles” - but then Weber does not seem to think it’s necessary to inform users what they (Weber) has decided that affects their users. Go figure. 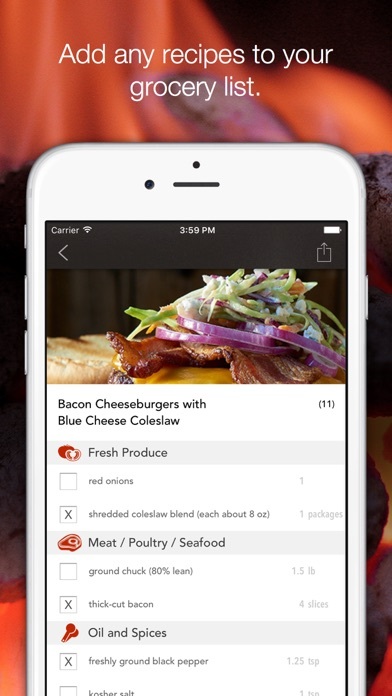 The app seems okay fine, and some of the old recipes are really good, but it rarely adds new recipes.